16th St. and Clinton St.
Matej Tupa (aka Michael Mathias) was born in Klouk, Bohemia on 28 Apr 1826. He Married Marie Bilkova 24 Jan 1853 in Chrestovice, Bohemia. Marie was born in Protovin, Bohemia on 16 May 1832. They settled in Chicago, IL in 1871. Matej died 8 Jun 1893 and Marie died 20 Mar 1897. They are buried in Bohemian National Cemetery, Chicago. For further details, contact the Chicago Genealogical Society. 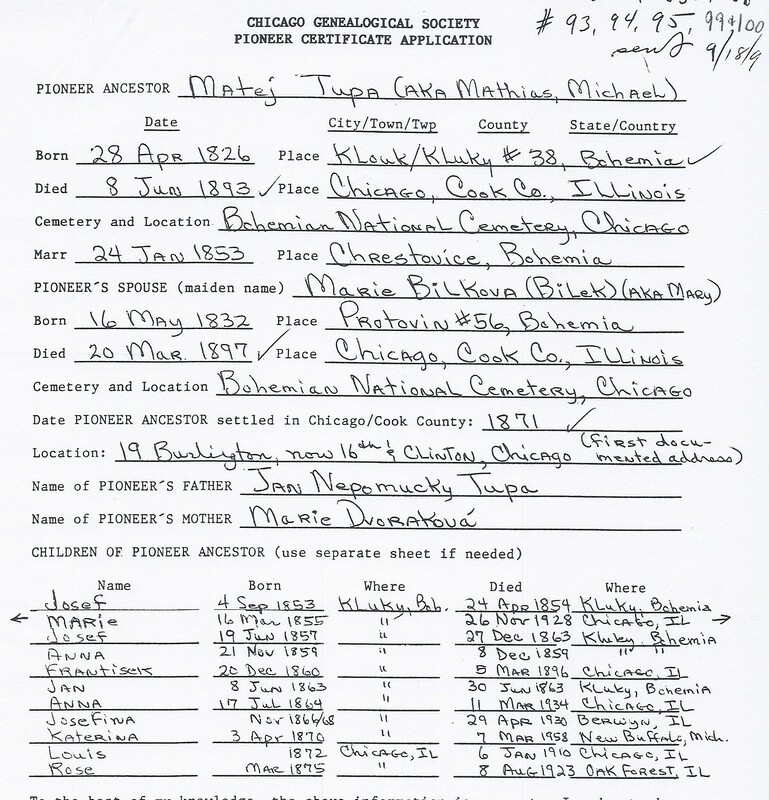 Matej Tupa is Pioneer Ancestor number 93-95 and 99-100.